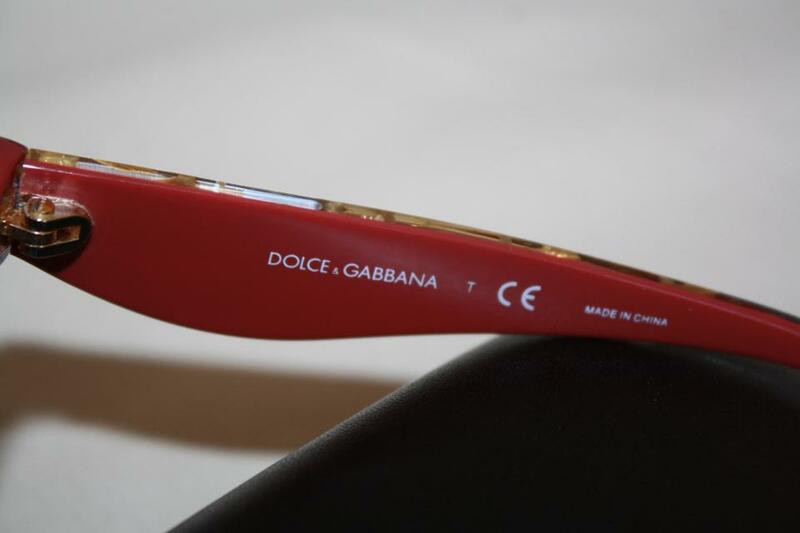 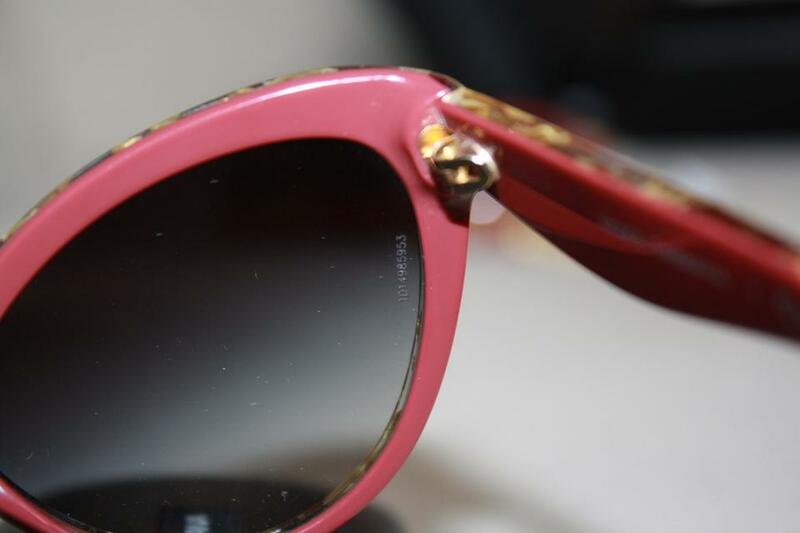 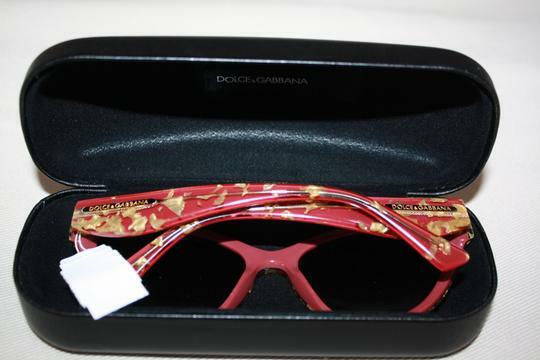 New with Tags DOLCE and GABBANA "Golden Leaves" Cat Eye sunglasses - DG 4199, color 2748/8g (Maroon). Comes with Dolce&Gabbana case. 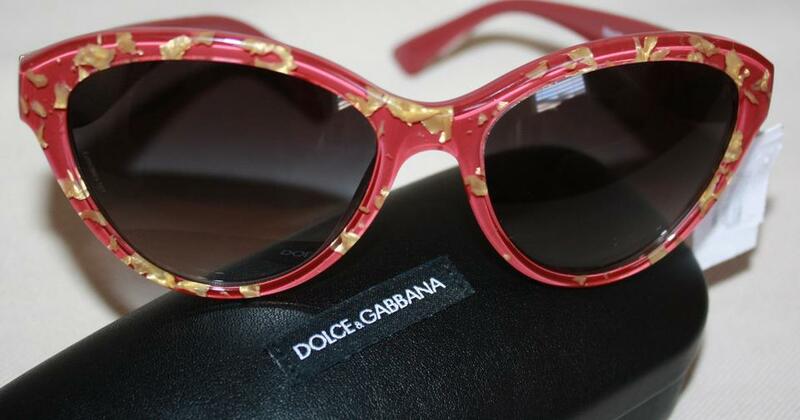 Each pair of the golden leaves collection is unique. The frames are interspersed with metallic (gold leaf). 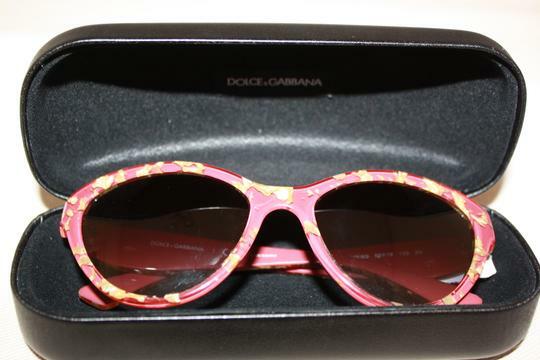 These were featured prominently in Dolce&Gabbana print ads, especially the cat eye. The Dolce&Gabbana case is a hard shell (but compact)- I also have other cases available (McQ) which are soft shell if you would prefer that. 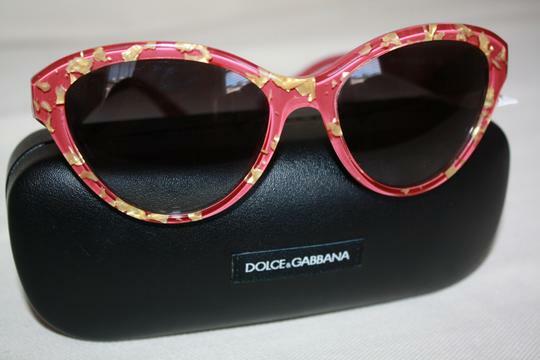 THE NEW DOLCE & GABBANA COLLECTION, GOLDEN LEAVES, IS INSPIRED BY THE GLITTERING GOLD TRIMMINGS AND LAVISH BROCADES OF THE SICILIAN TRADITION, DESIGNED TO CELEBRATE ALL THAT IS ULTRA-FEMININE. 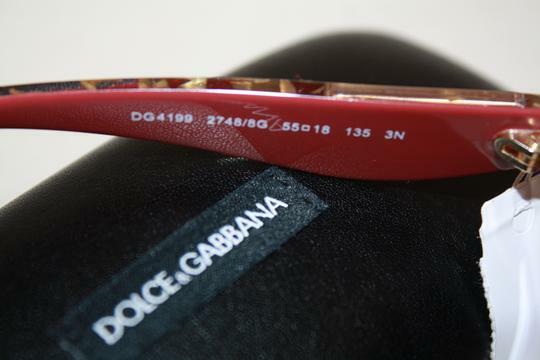 EACH SHAPE IS EMBELLISHED WITH GOLDEN DECOR TO GIVE EVERY WOMAN THE EMOTION OF FEELING SPECIAL AND UNIQUE. 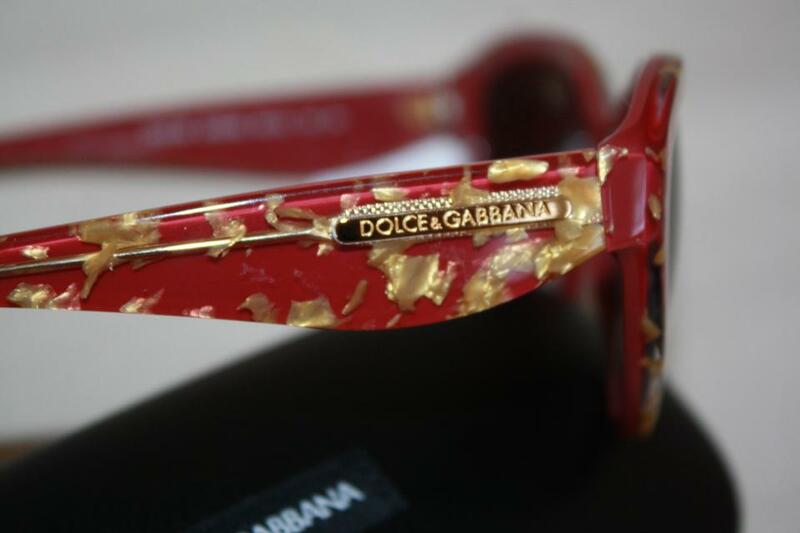 THE FINAL RESULT IS MAGNIFICENT: THOUSANDS OF GOLDEN LEAVES FLOATING IN A CRYSTAL FRAME CREATING A CHARMING AND UNIQUE "MELANGE" -- EACH PIECE BEING DIFFERENT FROM THE NEXT.